On September 11th, 2018, The Department was dispatched to a serious MVA requiring extrication on Goffle and Warburton. 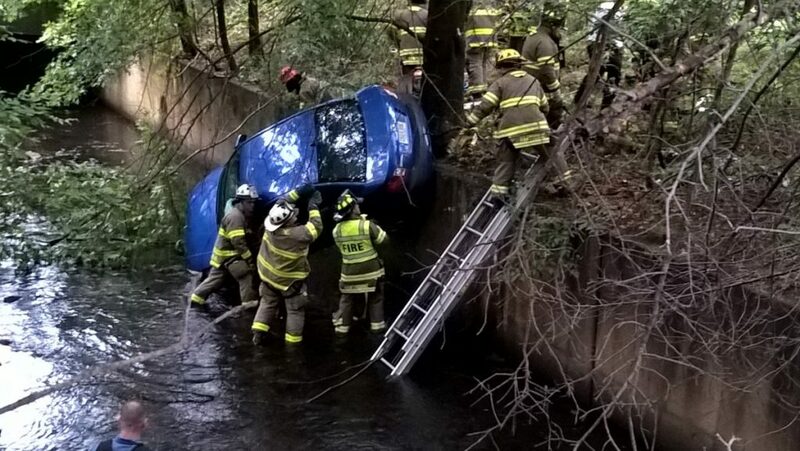 As the department was near completion of the first MVA incident the department was again dispatched to a car off an embankment and into the waterway on the entrance to route 208 north from Goffle Road. Upon arrival chief Speranza communicated to responding units that they had car with a trapped victim which was off an embankment and water way wall of approx. 10ft and into the brook, the car was teetering in a way that trapped the driver with its front in the water. First arriving members quickly made their way off the wall and into the water way to begin assessment and the process of stabilizing the vehicle. They communicated with the driver until the vehicle was safely stabilized and removal of the driver could begin. The driver was then removed and carried through the waterway and to shore for waiting EMS units for treatment for her injuries. It is with this quick action of AC Longo, Van Der Velde, Capt Hughes, Lt Manzo, Lt Van Lenten, Ex AC Warner and FF Thomas Bakker Jr all seven operating as part of the Departments Rescue Task Force that if it were not for the quick action taken by the firefighters the outcome by this accident could have been tragic. 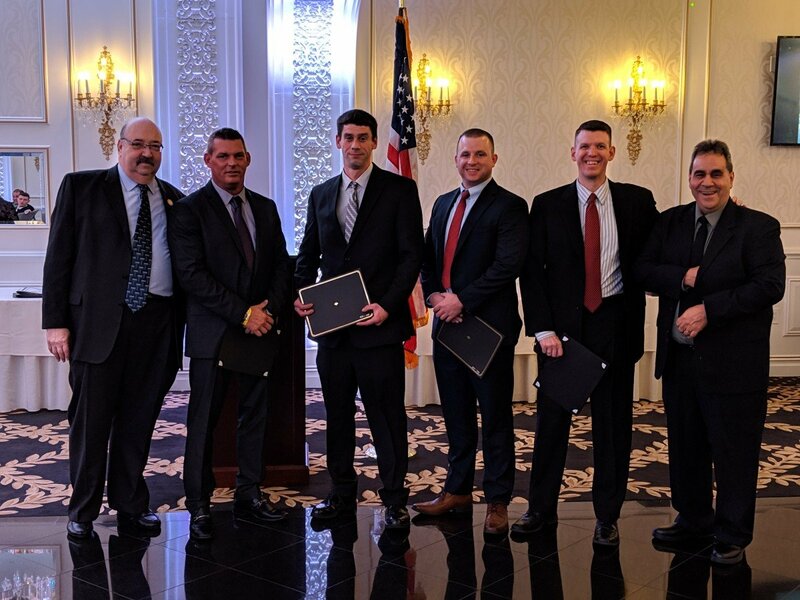 It is with this that the department recognizes our firefighters with a “Meritorious Unit Citation” award.